SABR sells and distributes Loftware Web Services, for remote Barcode Label printing and RFID encoding integration with Loftware Print Server®. 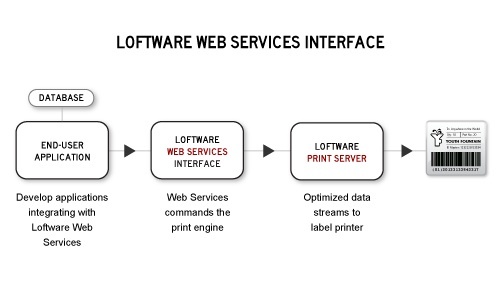 Loftware Web Services (LWS) provides a seamless and efficient way to bring all of your web based applications together to communicate with your enterprise labeling systems. It eliminates costly and inefficient programming, therefore, lowering your company's investment costs. A service based interface brings all of your existing third party applications under one printing system, thus, cutting software and hardware investment costs. 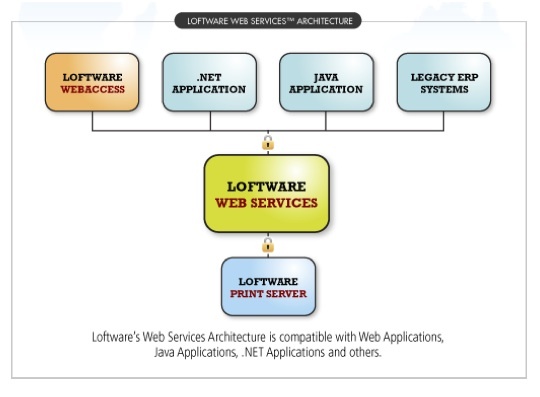 With Lofware Web Services, a company's ERP systems can be provided with a fully flexible and scalable printing system that grows as the company grows. Deployment of custom applications is more efficient, cutting company costs and laying a solid foundation for a company's supply chain's labeling future.